What do I need to sell my house in Houston? When you move to university, it may be the first time you’ve ever lived away from home. This means a huge boost in your independence, a chance to explore who you really are, and redefine yourself without being held back by your own history: no one here knows your childhood nickname, or the old embarrassing stories that mean your childhood has a hold over your life as an adult. It also means there is no one to do your laundry, to make sure you get out of bed in time for work, to wash up after you or ask if your homework is done. Even if you pride yourself on your independence when living at home with your parents, you still have the backdrop of parents or siblings that you simply don’t have when you’re away. It also means being thrown into close proximity with a lot of strangers, all of whom might have different standards for cleanliness, for comfortable noise levels, and what sort of behaviour is acceptable when stumbling back home late at night. This is one of the great universals of the student experience whether you’re living in some of the student accommodation Bolton offers, or a private house in Oxford. 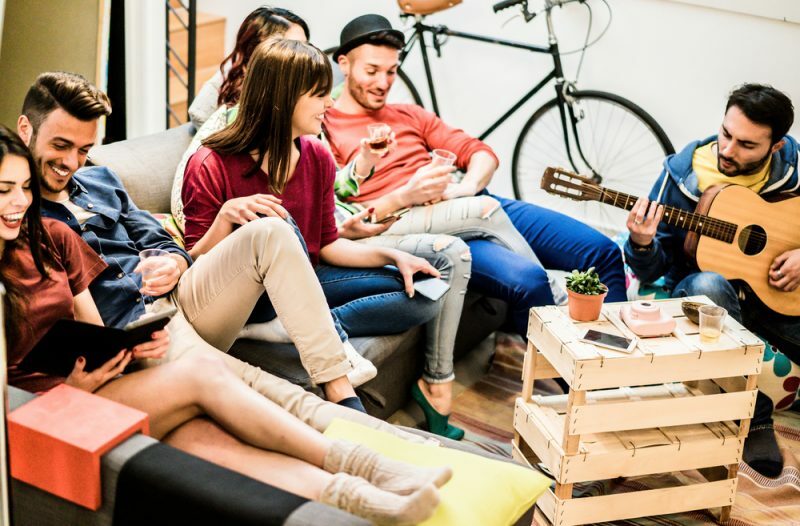 If you’ve never lived away from home before, moving into halls of residence can feel like a license to go a little crazy – and this is partly what university is for. As well as studying, it’s an opportunity for you to explore the limits of your own behaviour and work out where you’re comfortable, but there are a few shortcuts to take towards some idea of balance. With record numbers of students suffering from depression and anxiety, it’s important to practice ‘self-care’ religiously: to calm down, destress and make sure your living environment is one you can flourish in rather than a home for bacteria. Setting a cleaning schedule for yourself is a good way to make sure all the mundane tasks get done, and if you’re concerned about making sure you eat healthily, try forming a group with some flatmates and taking it in turns to cook for each other. It’ll kickstart some student friendships and spread the cost of healthy living. You’re going to run into all sorts of different people, living in halls of residence and you may not like all of them. It’s best to adopt a policy of live and let live, unless they’re actually dangerous or disrupting your life. People noisily celebrating the end of their exams while you have revision to do is something that’s definitely worth addressing, but diplomacy is the key. Make sure you know who the relevant authorities you can appeal to are, from Hall Wardens, to management, to your university itself, but first have a quiet chat with the perpetrators, explain your situation and ask for a reasonable adjustment. If that doesn’t have the desired effect, you can escalate with a clear conscience.